​Freewheelin.nu is a site where e-lit, installations, digital art, blogs and other texts are linked in a maze of underpasses, highways, rivers, bridges, tunnels that intersect in the art project Plastic Spaces whenever possible. And there is more. 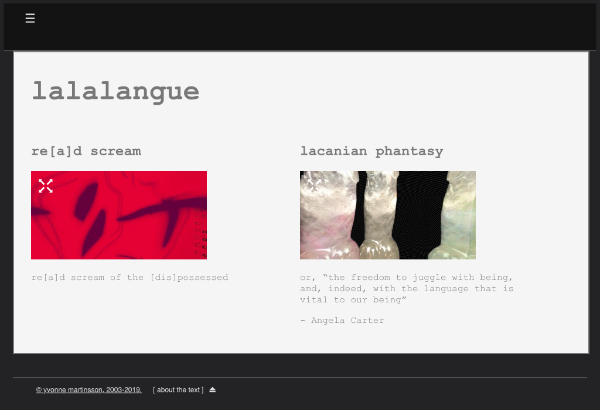 Image Music Text Technology.